Researchers have delved into the potential role that good nutrition plays in tempering the effects of equine herpesvirus 1 infection. Correct management and nutrition appear to play an important role in tempering the potential harm from equine herpesvirus 1 (EHV1) in horses, the findings of fresh research in Belgium suggest. 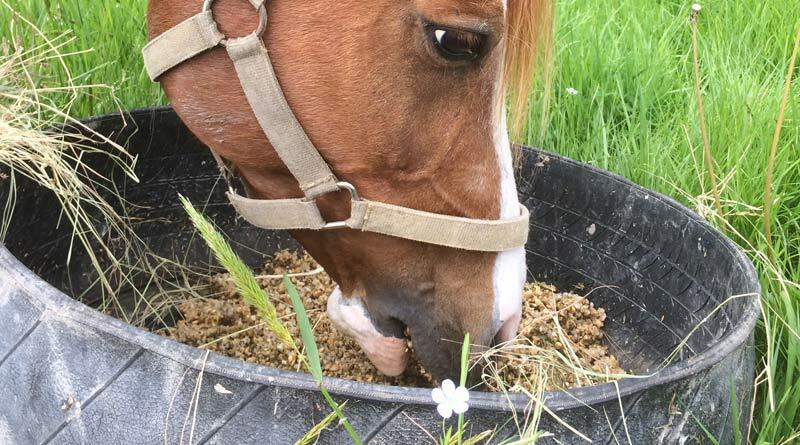 EHV1 infects most horses in their first year of life. The virus replicates in the lining of the upper respiratory tract, crosses the basement membrane and enters the blood circulation in single infected immune cells. The virus has evolved the ability to evade immune surveillance. It can go on to infect the lining of blood vessels, triggering abortion in mares and neurological problems so severe that euthanasia is the only option. Scientists have yet to unravel why some horses suffer these more serious issues, while others suffer little more than mild respiratory problems. Researcher Katrien Poelaert and her colleagues, writing in the journal Frontiers in Microbiology, noted that little was known about how or if nutritional metabolites, in particular short-chain fatty acids, affected the progression of EHV1. Short-chain fatty acids are metabolic end-products of digesting dietary fibers. They are known to benefit the health of mammals based on the sophisticated interplay with the host immune response. They have been shown to have anti-inflammatory properties. Researchers from Belgium’s Ghent University hypothesized that short-chain fatty acids may impede EHV1 infection of the upper respiratory tract by hindering virus entry and/or viral spread in the respiratory lining. They also proposed that these acids may change the target cells of EHV1 and may prevent viral transfer from infected mononuclear cells to endothelial cells – those that line blood vessels. Understanding the fragile balance between host immunity, metabolic factors, and the progression of EHV1 cases may be crucial in preventing the potentially devastating consequences of these infections, they said. The researchers focused on three short-chain fatty acids for their laboratory work – sodium butyrate, sodium propionate and sodium acetate. They found they had little effect on the replication of the virus in the upper respiratory tract during the early stages of infection, although two of them appeared to reduce its lateral spread. Nor did they appear to significantly reduce the number blood cells and immune cells that ultimately carry the infection through the bloodstream, although one did cause some reduction. However, when endothelial cells which line the blood vessels were treated with these short-chain fatty acids, the study team found a reduced number of infected immune cells adhered to them. This would ultimately lead to a significant reduction in the amount of virus infecting the blood-vessel lining, effectively reducing their ability to cause dangerous inflammation. These results indicate that the naturally occurring concentrations of short-chain fatty acids may affect the progression of EHV1 infections, especially their ability to target the blood vessel lining which can trigger abortions and neurological problems. In a laboratory setting, the work showed these short-chain fatty acids tempered the progression of EHV1. The results, they said, supported the hypothesis that the effects of EHV1 can be reduced by correct management and nutrition. “Our findings may have significant implications to develop innovative therapies to prevent the devastating clinical outcome of EHV1 infections,” they reported. The study team comprised Katrien Poelaert, Jolien Van Cleemput, Sarah Descamps, Herman Favoreel and Hans Nauwynck from Ghent University; and Kathlyn Laval from Princeton University in New Jersey.